In a huge step forward for justice in Colombia, a former army general accused by prosecutors of forming a “macabre alliance” with illegal paramilitary death squads was sentenced to 25 years in prison Friday in connection with the 1997 murder of a Colombian peasant leader. 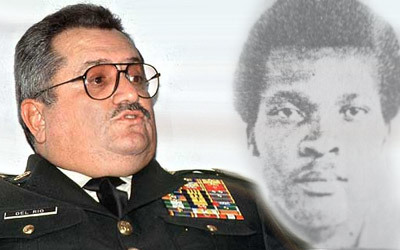 The sentencing of former general Rito Alejo del Río Rojas brings closure to a case that has long languished in the Colombian justice system and focuses renewed attention on the long-alleged collaboration between senior Colombian military officers like Del Río and paramilitary groups affiliated with the United Self-Defense Forces of Colombia (AUC). The United States cut ties with Del Río more than 14 years ago, cancelling his visa after finding convincing evidence of his ties to paramilitary groups. One declassified U.S. Embassy cable previously published by the National Security Archive said that Del Río’s “systematic arming and equipping of aggressive regional paramilitaries” was “pivotal” to his military success as commander of the 17th Brigade in Urabá. Follow the links below for more on the Del Río case and his paramilitary ties.